The Jewish Community Council of Marine Park has launched a sefer Torah campaign, reaching out to the community to help sponsor the very special project. You can partner with the organization in this incredible mitzvah by dedicating your own parashah in honor of a bar mitzvah, yahrtzeit, or another event that is significant to you. This will be a tremendous zechus for you and your family. The sefer Torah will enhance many simchos in the community and bring added kedushah into our lives. You can sign up by emailing shea@jccmp.org. In recent years, the tragedy of substance abuse and addiction has gone mainstream throughout America, and unfortunately, our frum community has not been immune. Until the last few years, those who were suffering had nowhere to go for help. Amudim has been formed to help teenagers and young adults in our community overcome abuse and addiction. 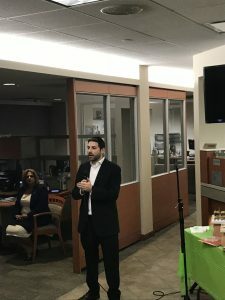 Last month, Rabbi Zvi Gluck, director of Amudim, spoke at the Kingsway Jewish Center about whether we as a community are doing enough to help those in trouble. The program was a project of the KJC’s The Morris Schnabel Adult Education Institute. The Cheder – Yeshiva and Mesivta Sholom Shachna – will celebrate its 26th anniversary with a special dinner at Ateres Chynka Hall on Sunday, February 24. As one of the major yeshivas for boys in Brooklyn, the Cheder will be lauding Mr. and Mrs. Eliezer Ostreicher as guests of honor. Also, being honored at the upcoming dinner will be Rabbi and Mrs. Betzalel Dovid Leiser (ohev Torah award), Rabbi and Mrs. Menashe Stern (parents of the year), and Rabbi and Mrs. Menachem Churba (harbatzos Torah award). The Third Annual Project Witness Educators’ Conference will be held this year at The Center for Jewish History in Manhattan on Sunday and Monday, February 17 and18 on the fascinating topic of “Postwar Agunah Crisis: Was There an Answer?” The guest speaker will be historian Rebbetzin Esther Farbstein of Michlalah in Yerushalayim. For more than 50 years, Mr. Isaac Fink, zt”l, helped educate thousands of boys as an educator par excellence as the principal of Yeshivas Vien, Chasan Sofer, and for the last 35 years as the general studies principal of Yeshiva Ketanah Torah Vodaath. He also encouraged and helped develop hundreds of teachers who worked under his guidance. His petirah last month shocked and saddened thousands of Jews throughout the world. Mr. Fink impacted not only Jewish communities in Brooklyn, but also kehillos throughout the world via the alumni whose contributions he impacted. For more than three decades, Masores Bais Yaakov has been providing our daughters with an outstanding education instilling them with the confidence they need to become dynamic members of Klal Yisrael. The 31st annual dinner was held on Tuesday evening, January 29, at Ateres Chynka Hall. The honorees included Rabbi and Mrs. Mutty Katz (avodas hakodesh award), Mr. and Mrs. Matis Soffer (bonei Torah award), Mr. and Mrs. Shmaya Eichenstein (keser shem tov award), and Mr. and Mrs. Shloime Fried (parents of the year award). 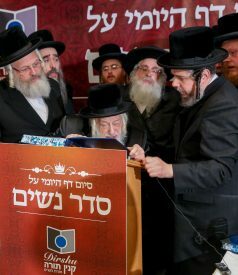 Hundreds of alumni of Yeshivas Ner Moshe in Yerushalayim participated last month in the yeshiva’s “The Legacy” melaveh malkah held at the Agudah of Avenue L. The affair was graced by the participation of Yeshiva Ner Moshe guiding lights including Rabbi Avrohom Gurewitz (Rosh Yeshivah), Rabbi Sholom Shechter (Rosh Yeshivah), and Rabbi Chanania Manies (menahel). The guest speaker was Mr. Duvi Honig, CEO of the Orthodox Jewish Chamber of Commerce. Rabbi Abish Dachs was honored with the ner tamid award and Mr. Rafi Hassan was presented with the legacy award. Mr. Mordy Husarsky served as the event’s chairman. Thousands of bnei Torah from 30 communities throughout North America, including Toronto, Miami, Baltimore, and Los Angeles, took advantage of the Rav Chaim Yisroel Belsky, zt”l, Global Chullin Initiative. They learned about the practical halachos dealing with kosher meat production and consumption via live stream from the Belz Bais Medrash in Boro Park where Rabbi Amitai Bendavid made the sugyos from Mesechta Chullin come alive. 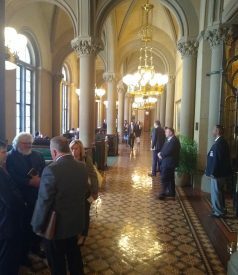 The project was conceived by the Agudath Israel of America Torah Commission. 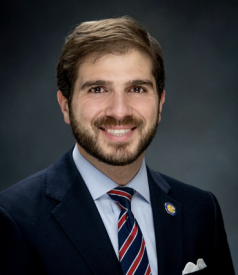 The Boro Park Jewish Community Center, in partnership with the local division of the New York State Chaplain Task Force, has launched a new initiative to help the community’s Holocaust survivors. The organization will recruit volunteers who will shovel snow and clear walkways after any snowfall during the course of the winter. Each volunteer will be paired with individual survivors. To date, some 40 volunteers have signed up for this special program. 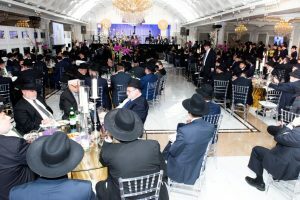 Mosdos Veretzky (Yeshiva Ohr Shraga and Mesivta Bais Aaron Tzvi) celebrated its 34th-anniversary dinner with the theme of “Our Children, Our Future” at the Metropolitan. 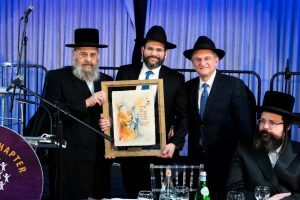 Among the honorees were Mr. and Mrs. Benny Markovics, Mr. and Mrs. Shia Steinberg, Mr. and Mrs. Duvi Bandfa, Mr. and Mrs. Ari Binet, Mr. and Mrs. Duvid Aryeh Obstfeld, and Mr. Tuvia Rosenfeld. Mr. Yossie Yurowitz and Mr. Samuel S. Sontag, Esq. served as chairman and honorary chairman respectively. Dr. Glenn Hirsch, vice chair for clinical affairs and medical director of New York University’s Child Study Center, recently spoke to approximately 30 Flatbush rabbis at Congregation Keter Torah about various mental health issues important to our community such as anxiety, mood and personality disorders, and suicide. His goal was to help his audience gain a broad understanding of these issues and know when to recommend professional intervention. The seminar was a joint project of Rabbi Binyomin Babad’s Relief Resources and the FJCC Chairman Josh Mehlman. David Konigsberg, CEO of Optimal Targeting, speaking at a JCCMP networking event at Investors Bank in Boro Park.